The PoeTree + Toronto Fringe! We’ve been hibernating here at the PoeTree Foundation for many months now, but only in preparation for some big news. As of January 9, 2019 the first PoeTree anthology will be on sale thanks to a partnership with the Toronto Fringe Festival! If you slide on over to our Past Events, you’ll see that the tree was up at the Toronto Fringe this past summer, and in the 11 days of the festival over 400 people interacted with the tree, leaving over 250 poems on its branches. This wonderful anthology is a curated selection of those poems. The PoeTree: Toronto Fringe Festival Bloom is a collection of 54 delightfully illustrated poems from patrons and passers-by of the Festival: their lessons on humanity, thoughtful confessions, generous advice, and musings on the Fringe itself. All of it is written in the writer’s original handwriting, and it all sells for the nice, round price of $20.00! 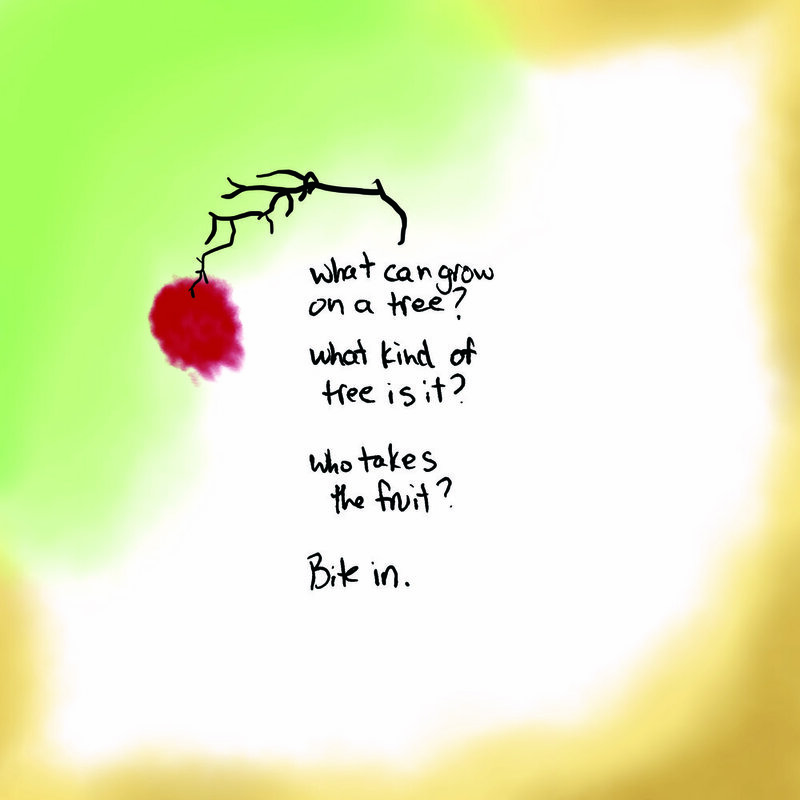 The PoeTree: Toronto Fringe Festival Bloom can be purchased online from Lulu beginning on January 9, 2019, as well as in person at Next Stage Festival, or, at the Fringe office (204-688 Richmond Street West). For more information, call 416-966-1062 ext. 0, or just slide on over to the Contact section. And the best part is that the proceeds from the purchase of the book go right back to the Fringe, so grab a copy and show your support. To learn more about the charitable drive behind the PoeTree Foundation’s blooms, head over on to the About section. We’re hoping this will be the first of many!